At BRC we're proud to serve together and to follow the example of Jesus. We believe serving is a catalyst to spiritual growth and encourage all to live a lifestyle of serving others. 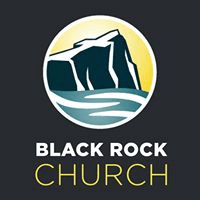 Greet people as they enter the church building and help them connect with Black Rock resources. This is a crucial serving role as you are often the first person a guest encounters at Black Rock. Welcome Black Rock members and guests alike as you ensure traffic flows through our campus safely and effectively. With their guidance and encouragement they invite all who attend our services to engage community and worship from the moment they drive into our campus. Encourage our guests’ by matching them to resources that will equip, empower and inform them. Our Resource Center Assistants suggest books, DVDs, study Bibles, event tickets and other resources that will enhance guests’ spiritual development and experience. God made you with unique gifts ad talents that you can use to serve others in areas for which you're passionate. With over 90 teams to choose from, we certainly have an opportunity for you to serve no matter your experience level! Browse our Love Serves brochure in the link below to find a team you'd like to join then fill out the form to join a team! Find our Love Serves brochure here! Get an individualized look into serving! If you are unsure about where and how to begin serving, let's talk! We'll take a look at your interests, experiences and passions to help you think of ways to cultivate a lifestyle of serving others. We'll also go over our onboarding process and fast track your steps to joining a Serving Team. Just fill out the form above and under "What team are you interested in?" select "I am not sure" to request an appointment with the Director of Serving. We'll follow up with you shortly.